Aging can take its toll on hair due to thinning and breakage, but we’ve found the perfect way to fight back and achieve healthy, strong, silky, younger-looking tresses. 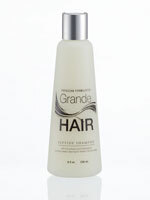 Fortify your hair and reduce breakage with luxuriously creamy GrandeHAIR Conditioner. 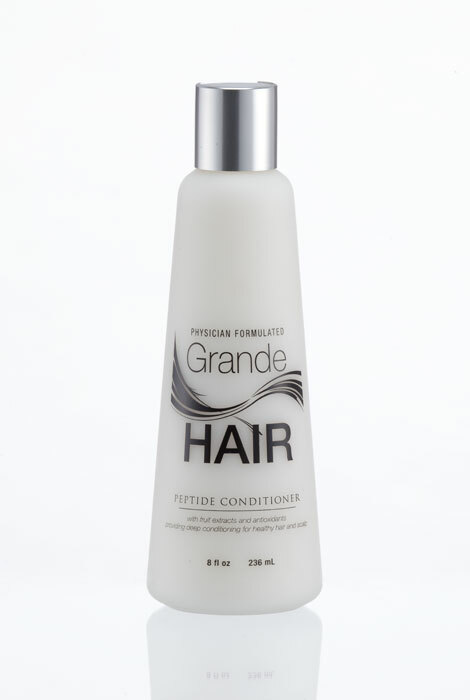 This conditioner for hair growth combats the effects of aging on your hair and scalp by working at the cellular level to promote healthy follicle activity. The exclusive formula of peptides and proteins contains hextapeptide-11, which is clinically shown to help increase collagen production. A proprietary blend of fruit extracts and antioxidants combine to rejuvenate and rehabilitate your hair and scalp. Natural exfoliants work to clear hair follicles of dead skin and make room for thicker hair and a healthier scalp. The same reason for the conditioner. I needed a new conditioner and this goes with the shampoo that I chose. I like the high performance and guality of this brand.